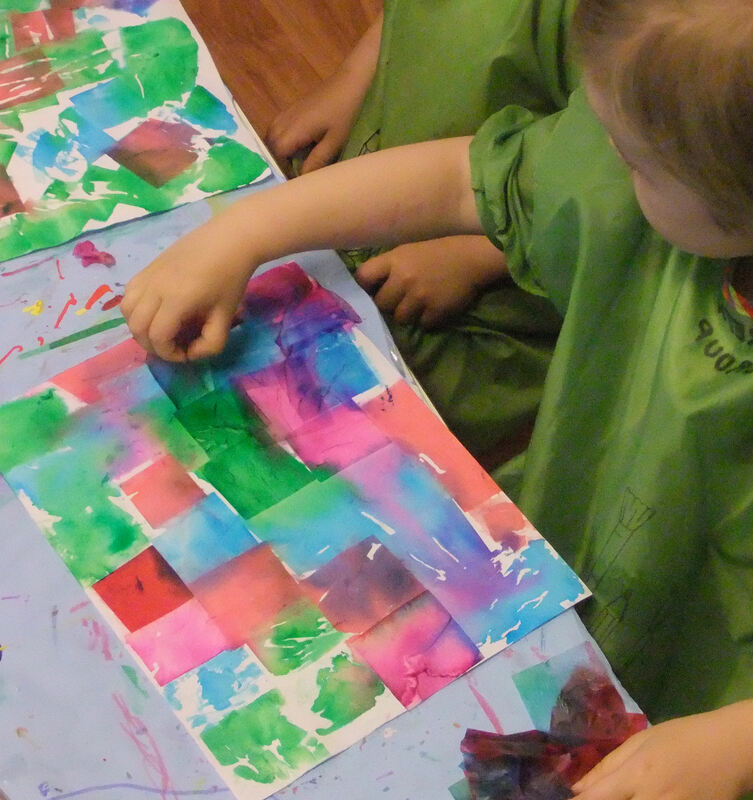 David McKee’s iconic children’s book, Elmer the Patchwork Elephant, is the perfect vehicle for trying out the tissue paper staining technique with young children. 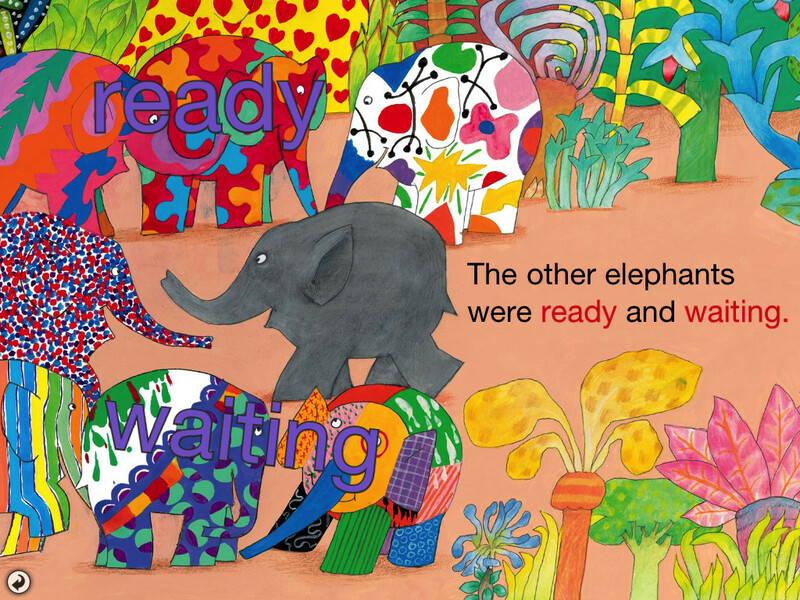 I have done two similar projects inspired by the famous colourful elephant. 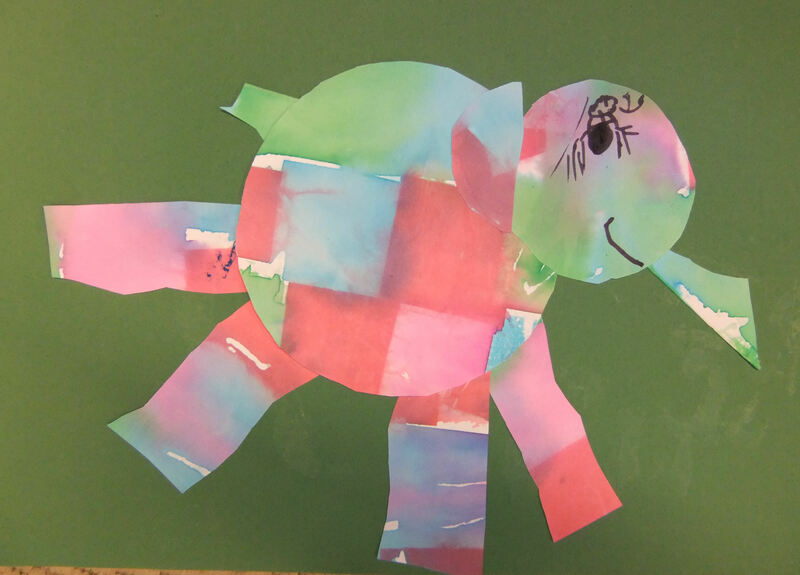 Project I: The first is a relatively simple project for younger children, inspired by the story, ‘Elmer’s Special Day’, in which all the other elephants decorate themselves with different colours and patterns so that Elmer doesn’t feel so different. For very young children you could pre-cut elephant shapes, but I provided a template for them to draw around and cut out themselves. Older kids could draw their own elephant shapes. It’s best to use a thick, absorbent paper such as watercolour paper, and before you start check that your tissue paper is the type which releases it’s colour when wet. The tissue paper should be cut into different shapes (squares, circles and strips) for the children to choose from. Once they have their elephant shapes, the paper needs to be dampened (I usually do this for them, and then keep going round with the wet sponge to keep it wet while they work). The children have to work quickly, placing the tissue paper shapes onto the wet surface. Next, the magical part… as the paper dries out, the tissue paper starts to flake off, leaving its colours behind! The effect is like watercolours as the colours bleed into each other. Strung together in a line, you have a wonderful Elmer’s Day Parade. Project 2: A slightly more challenging approach is to have the children decorate the paper first, creating a patchwork of coloured squares using the tissue paper staining technique. Once dry, the kids cut out circle shapes for the elephant’s head and body, as well as four rectangles for the legs, a curved piece for the elephant’s trunk and a tiny piece for the tail. After assembling their elephants, they can use a black marker pen to add details.